Mindful aerial yoga decreases stress, increases happiness, and enhances focus. Aerial yoga decreases stress. Research on the biological effects of meditation and yoga found that individuals that practiced mind-body activities, such as aerial yoga, had decreased inflammation in the body. Even just 10 minutes of mindful aerial yoga can decrease stress and be beneficial to you and your child’s health. Aerial yoga makes you happier. Aerial yoga releases “happy hormones.” Happy hormones are neurotransmitters. Neurotransmitters are brain chemicals that play a major role in mood regulation. Science has found that the practice of activities such as mindfulness and aerial yoga triggers neurotransmitter production. These neurotransmitters reduce the symptoms of mental health disorders such as anxiety and depression, while increasing overall happiness and well-being. Mindful aerial yoga enhances focus. When you are in the present moment, you can not dwell on the past (depression) or worry about the future (anxiety). 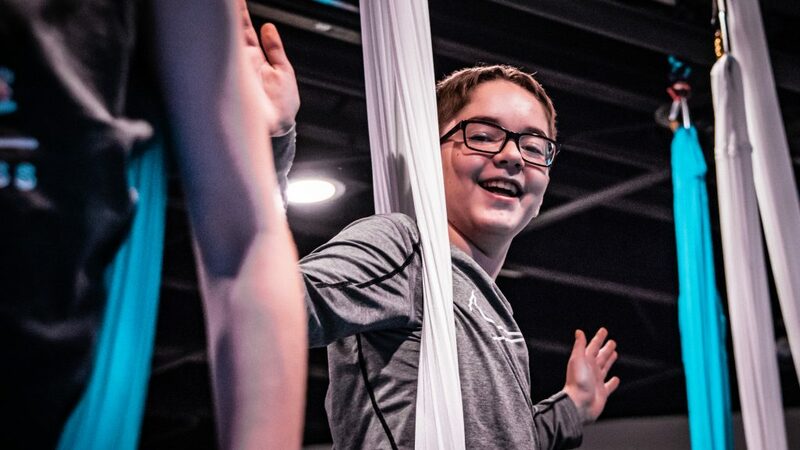 When children unplug and experience the art of paying attention on purpose, they reap the benefits of the mindfulness and aerial yoga activities—they enjoy being present, aware, and in the moment, which are important life skills. Mindful aerial yoga increases resiliency. Electrical changes have been noted in the left frontal portion of the brain following mindfulness training, which scientists believe is linked to enhanced resilience. Resilience is the ability to cope in challenging situations and bounce back from adversity. Mindful children can deal with difficult emotions without shutting down and are able to bounce back quicker from disappointment . Aerial yoga and mindfulness change the brain for the better! The brain’s ability to adapt is called neuroplasticity, meaning the brain has pliability and can change with experience. A consistent practice of mindfulness and aerial yoga can create new pathways in the brain, resulting in improved mental health, physical health, and well-being. Way to go aerial yoga and mindfulness! The evidence from science, indicates mindful aerial yoga is an effective way to reduce stress and anxiety, and best of all there are not ANY side effects. It may also be considered preventive medicine. This means, that with practice, mindful aerial yoga is a good defense against stress and mental health issues that may arise as the result of stress. It is highly recommended that EVERYONE, both adults and children, reap the benefits of a mindful aerial yoga practice. 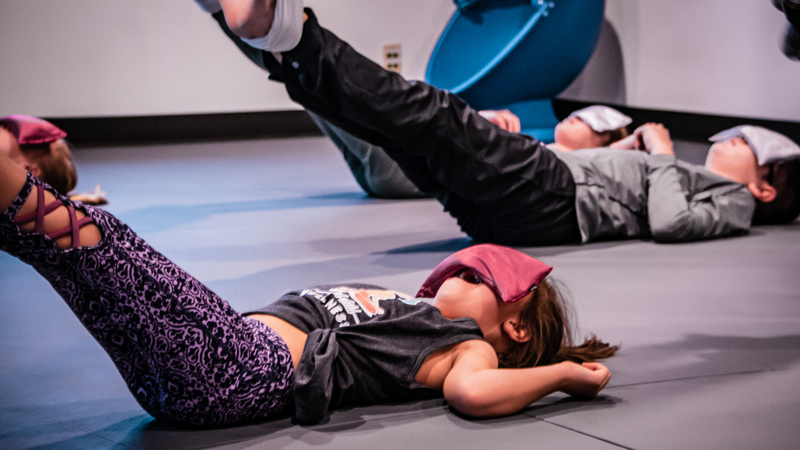 Want to learn specific ways to introduce mindfulness and aerial yoga to your child? If you live near Kansas City, register for a mindfulness-based aerial yoga class. For those outside of the Kansas City area, buy my book, Mindfulness for Children, and begin your journey to happiness!